In Chinese, “hun” means to blend and transmute; and “yuan” means unity or one-ness. HunYuan Entirety Theory is a rational theoretical system and the foundation of Zhineng Qigong set forth by Professor Ming Pang in one of his fundamental texts. Ancient Greek philosophers held that every substance is formed by discrete and indivisible particles—later known as atoms. Chinese sages summed up the building blocks of nature as invisible, continuous, and indivisible source-substance. Lao Tzu called this “Tao”, while others called it “Yin/Yang.” We now call it “Qi” or primordial energy. A key idea in this theory is that all matter possess three elements—mass, energy and information— and can be classified as: substance, field and primordial energy (Hunyuan Qi). We already know that substance possesses mass (energy and information are concealed within this mass) whereas fields (eg radio, magnetic, electric fields) possess energy (with mass and information concealed within the field). According to HunYuan theory, HunYuan Qi is the third classification and exists as information (with energy and mass concealed within). Essentially, Qi allows nature to become flexible enough to permit the seemingly inexplicable transformation of non-matter into matter, time into space, mass into energy. We can say that human consciousness (shen) is the activity of HunYuan Qi manifiested in the human brain. 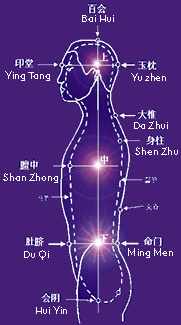 The practice of Zhineng Qigong ultimately involves harnessing that consciousness as an "initiative factor". For those who are interested in this fascinating study, the HunYuan Entirety Theory consists of: the HunYuan Theory, the Entirety Theory, the Theory of Consciousness, The Theory of Morality, and the Human HunYuan Qi. The HunYuan Theory includes the Concept of Change, Concept of Time, and Concept of Space, whereas the Entirety Theory includes the Entirety Theory of the Universe, of Man and Nature, and of the Human Body.